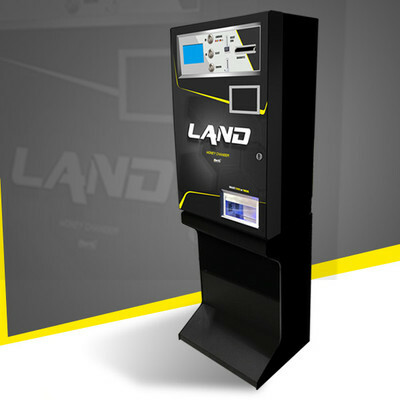 The ones who attended the ICE Totally Gaming exhibition have already seen it in preview: Land, the new money changer that conquered the international audience of the London fair. The new money changer designed and manufactured by Alberici is the most flexible on the market because it is able to provide many combinations: it can be set to distribute different types of tokens or coins or a mix of tokens and change. In addition also in banknotes (optional). The versatility of this money changer is based on 4 very capacious hoppers, which can hold up to 7,200 coins or tokens with their extensions. The great internal flexibility is protected outside by a very solid structure, entirely in metal, and by a special steel lock with 5 hooks, placed in front. For more information contact our sales staff.